When asked where he was born Groucho Marx once replied, “New York City…I wanted to be near my mother.” While that remark has garnered guffaws over the years, it is becoming less of a laughing matter. Due to a number of books, newspaper and magazine articles, films and television programs about the amazing mental and emotional capacities of unborn and newborn infants, many parents are being sent into a tizzy regarding what their soon-to-arrive or newly-arrived offspring can see, hear, feel, understand, think, and do. Quite often the joy and wonder of mothers and fathers getting to know their babies as their babies get to know them is degenerating into anxiety and guilt concerning what their babies may already know and what the parents should have known. The problem is that although there has been a considerable amount of research done on newborn babies during the past few decades, much of that research has been misrepresented to the general public. The popular media have a tendency to focus on ground-breaking studies that produce new and dramatic discoveries. They routinely ignore the subsequent follow-up studies that frequently show initial findings to be false or highly questionable. Consequently, parents are likely to receive a seriously distorted, even erroneous picture of the newborn’s experience. The fact is that contrary to the impression mothers and fathers may be receiving, the interests and abilities of a newborn baby are uncomplicated and the early developmental process is largely forgiving. And at least for the first several weeks, simply by doing what comes naturally most parents will satisfy their baby’s important needs and help their child achieve a superb start in life. Of course, reliable information would be appreciated nonetheless. Unlike automobiles and microwave ovens, newborn babies do not come with instructions, and parents certainly would feel better if they could be reasonably confident they were avoiding major mistakes and handling matters in the most beneficial manner. Such information would enable mothers and fathers to decrease their fussing and fretting and increase their fascination and fun, all the while ensuring that their baby’s debut is a success. So here are some notes that hopefully will make that possible. Research has shown that during the last few weeks of pregnancy the fetus is sensitive to light, sound, and motion. Of special note is that a newborn sometimes displays a “familiarity” response to voice patterns he was exposed to in the womb. Some people have taken this to mean that what the parents say prior to their child’s birth will have a significant and lasting impact. However, there is no evidence that the fetus senses anything specific or processes it in any meaningful way. And there certainly is no reason to suppose that what the parents say prior to birth is as important as what they say afterward. Clearly, chemical substances in the mother’s bloodstream are passed along to the fetus. Therefore, pregnant women should be careful about what they eat, drink, and are exposed to. Unfortunately, some people claim the mother’s thoughts and feelings are transmitted to the fetus too, and they warn pregnant women to be as cautious about their mental and emotional state as they are about their physical state. But there is no compelling evidence to support this notion. While avoiding chronic or excessive stress definitely is a good idea, an expectant mother should not worry that occasional bouts of anger, fear, doubt, or melancholy will have the same kind of negative effect on the fetus as alcohol or drugs. From an adult’s perspective, the transition from womb to world can seem traumatic. Suddenly being squeezed from a gentle, warm, quiet, dark, liquid environment into one containing bright lights, cold air, loud voices, and perhaps a swat on the behind does not sound pleasant. Consequently, some people are advocating procedures, from giving birth underwater to muffling all lights and sounds in the delivery room, designed to make the process as minimally stressful as possible for the child. Yet once again, there is no real evidence that the newborn is experiencing a genuine sense of unpleasantness or is suffering in any significant way. Furthermore, even the most well-motivated and prudent planning cannot ensure that birthing will proceed perfectly. And the health and comfort of the mother should not be put at risk just to eliminate a minor and possibly imagined risk to the child. Unless there are severe complications that cause serious physical damage to the infant, there is no reason to believe the events and conditions surrounding the delivery will have any significant, lasting effect on him. Parents must remember that a baby’s introduction to the world consists of many facets and covers a substantial period of time, so they should avoid placing inappropriate emphasis on any one part to the detriment of others. Research once suggested there was a “critical period” for the development of the parent-child relationship. They claimed that when mothers and their newborns had skin-to-skin contact during the hour immediately after birth a special emotional bonding took place. However, new evidence proves that the formation of a strong emotional bond between parent and child actually is a long, complicated affair covering many months. Therefore, while early, close contact may contribute to the overall process, a mother who has her premature infant placed in an incubator, who required a c-section, or who for any other reason could not engage in such contact should not feel she has missed a major opportunity to ensure the highest quality parent-child relationship. Also, especially if it is natural childbirth and the father is the “coach,” his presence will provide comfort and support for the mother. And since his is not physically involved in the same way as the mother, being present at the birth affords the father a chance to be psychologically and emotionally involved. Nevertheless, his presence or absence will not necessarily have a significant impact on the newborn. While it certainly is recommended he be as much a part of the process as possible, if unavoidable factors prevent him from attending the birth, the father should not feel he has missed a singular opportunity to establish the optimal relationship with his offspring. According to the most reliable research on the development of the human mind, a baby is born with real ability to think. Although he is receiving input through his senses, his mind is not capable of processing it in a manner that in any way resembles adult mental functioning. Moreover, he has absolutely no frame of reference for anything, having no knowledge to draw upon. He has no conception of time and space, and he is unfamiliar with his own hands and feet, much less his mother and father. The newborn may be technically aware of what is happening around him, but he definitely lacks the capacity to understand and appreciate it. Some people claim that a newborn will remember everything, and that he will be able to recall specific memories of his earliest days later in life. However, reliable research indicates that the capacity to form even brief mental images takes a while to develop, and the capacity to store and retrieve images routinely and reliably takes many months to evolve. Consequently, while regular, sustained circumstances may eventually create a generalized impact on a deep level, individual events and momentary conditions will not leave distinct marks on the newborn’s mind. More than asking what they can do for their newborn, mothers and fathers should be asking what they can do for themselves. Although the birth process need not be unpleasant, it can be exhausting. And while caring for the newborn is not complicated, it can be demanding. Therefore, parents should simplify their existence (such as putting off routine housework and limiting visitation by well-meaning friends and relatives) and concentrate on supplying their baby with the basic nurturing necessary to establish a loving and trusting connection with their child. A month or so will pass before the infant begins to be more awake and alert, and few more months will be needed before he starts to develop social awareness and the rudimentary mental abilities that may call for more sophisticated input from his mother and father. By that time his parents will be in better shape to pursue such activities. 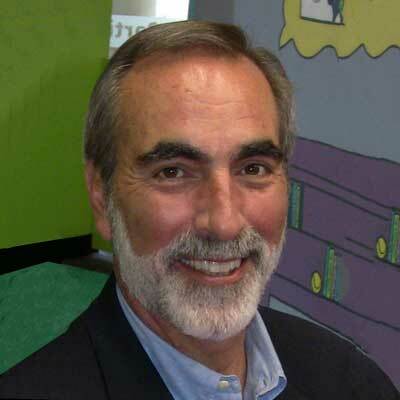 Michael K. Meyerhoff, EdD, is executive director of The Epicenter Inc., "The Education for Parenthood Information Center," a family advisory and advocacy agency located in Lindenhurst, Illinois. He may be contacted via e-mail at epicntrinc@aol.com.